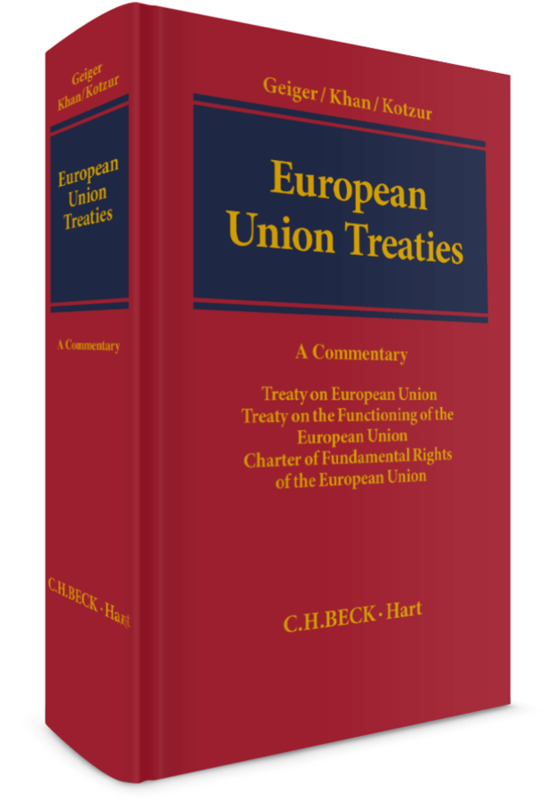 The book is a new, revised English edition of an acclaimed Commentary on the basic European Treaties. The German language version has been published five times already. . It comprises concise “article-by-article” comments on the Treaty of the European Union and the Treaty on the Functioning of the EU in their latest versions, supplemented by the Charter of Fundamental Rights (including the comments of the European Convent’s Presidency) and the Treaty Protocols. The authors (all of them being specialists in European Law) offer a compact overview of the European primary law, comment on the relevant secondary law, provide introductions to the particular fields of law and analyse the case law of the European Court of Justice. Treaty provisions are commented on the “article-by-article” basis. Each provision is followed by a list of relevant literature and a its concise analysis. Particular attention has been paid to the case law of the EU Court of Justice. The Commentary is designed for beginners in the field of European Law as well as to more experienced practitioners. A former judge at the Bavarian Court of Appeal in Munich and Professor Emeritus of the European and Public International Law at the University of Leipzig. Professor of the European and Public International Law at the Bundeswehr University (Munich). Professor of Public International Law and the European Law at the University of Hamburg.